This theme bundle has multiple skin variations that are flexible and scalable to handle simple and complex design ideas. Fantastic theme. Extremely customizable. Exactly what i needed. The weakness is also very common. A lot of plug ins enabled, so when i successfully installed it on Wordpress 5.1.1 I tried to update those plugins. This operation damaged my frontpage (managed by Elementor), so i had to re-install the theme and stop myself from any further updates. Now i enjoy the theme, and make backups everyday, especially before updating plugins. The theme is really cool. I have been looking for a theme for my business for a long time. I have researched lots of different websites and couldn&#039;t find one that would fit my needs. Finally after talking to one TM agent I was able to come across this theme and make it work. It is very intuitive and easy to use. 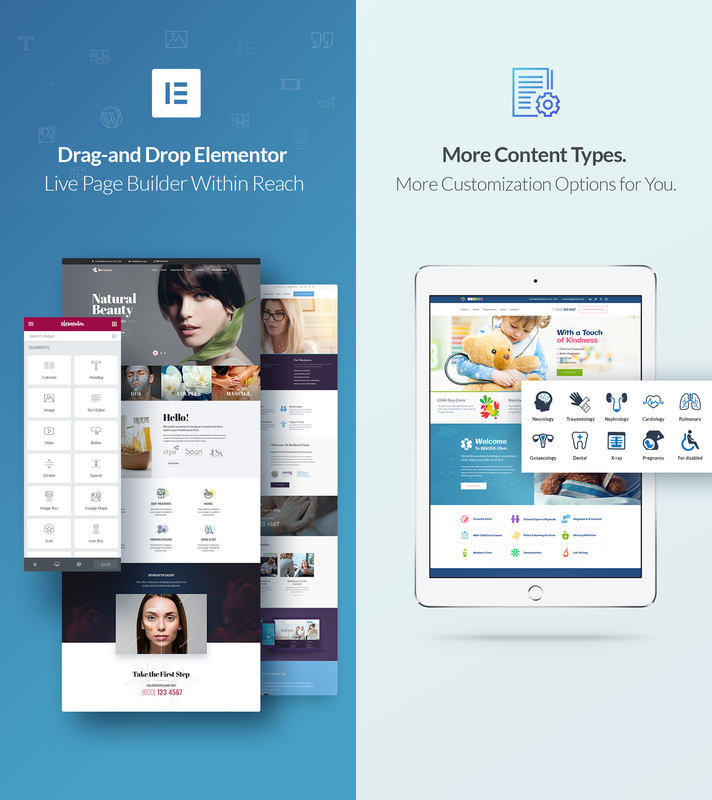 I am a web developer and even for me the drag and drop options and features makes everything easier and faster to use saving time and money! this is a nice template and super easy to use. i used it for a construction company and it works beautiful. i spent like only 4 days to make a complete site with over 40 pages. i have some trouble modifying the mobile view but i chat withed the guys from template monster and they help me achieve the design i wanted with only css code. also i have some major issues and they sent me to templatetunning to get help and they have really good prices. Just downloaded the them recently. Order process and download was very easy and smooth. I imported the them into Wordpress. Now I have to configure it. Might need some help with this. Very robust them. 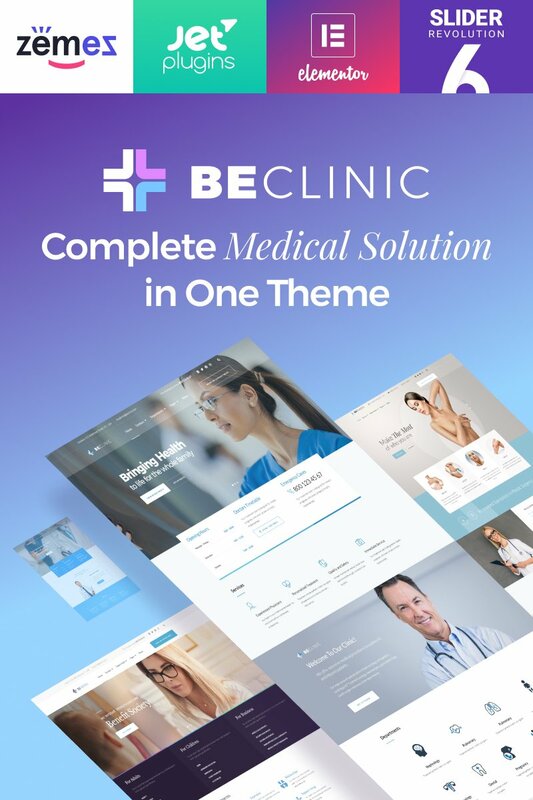 The Beclinic theme is perfectly structured, has an excellent graphic design and is very well oriented to different medical specialties has different skins. It is very easy to install and during installation without any setbacks, it has elements that add value and functionality, our customers are really satisfied, we thank them and congratulate them for their excellent work, they are the best option in templates. The theme is cool and install was very easy without any issues. Absolutely fantastic. I would highly recommend the installation service if you&#039;re going with the WordPress version. 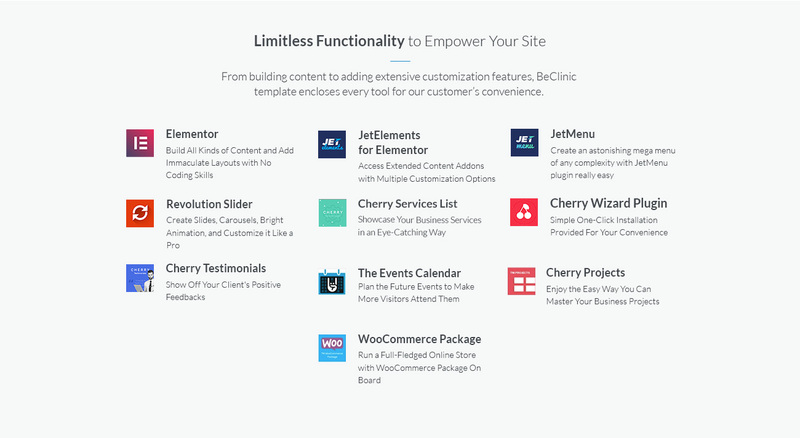 I usually just use Elementor and build a site from the ground up but this was much more cleaner and much more efficient. Worth the price. And the theme is fantastic. This theme have a less/sass file? Hi, I was about to buy the template, when I saw answer to the question by rawfish. Could you please clarify what exactly do you mean by &amp;quot;Images are not included into the package&amp;quot;? Which images are not included? Thanks. Pavel. are the images included? If not how do I get them? Is this theme compatible with WPML? 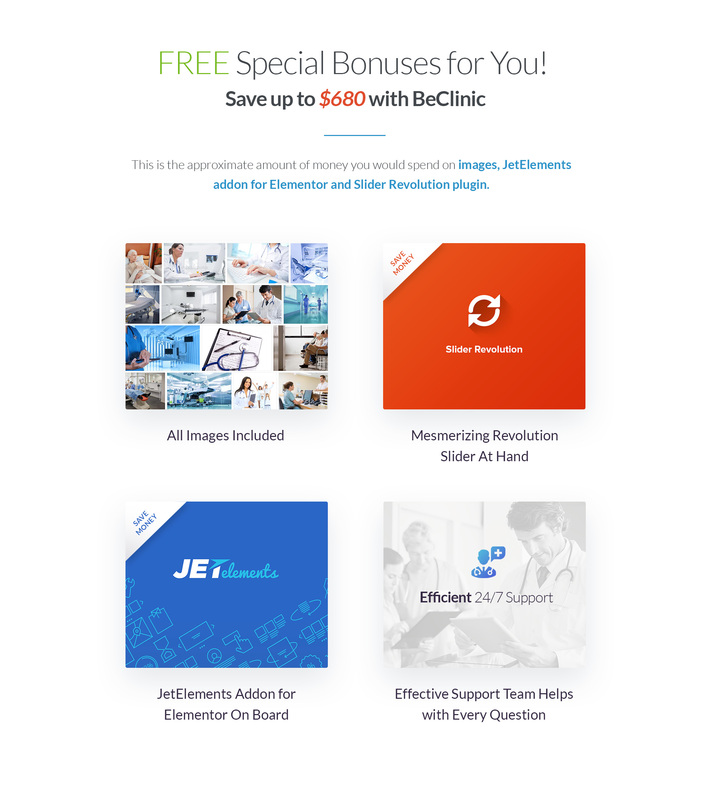 - Updated the detailed documentation for BeClinic. - Minor bug fixes: solved crossbrowsers issues, solved issues with contact form.